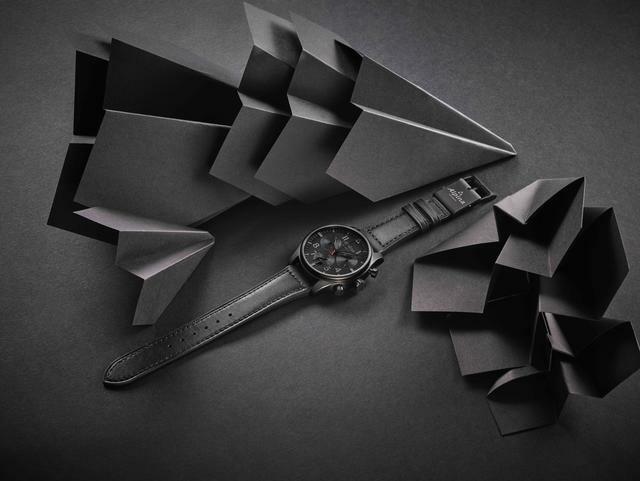 Extending the reach of its existing smartwatch technology, Alpina has equipped six of its sportiest watches with newly darkened dials and its fitness tracking E-Strap to create the Alpina Shadow collection. 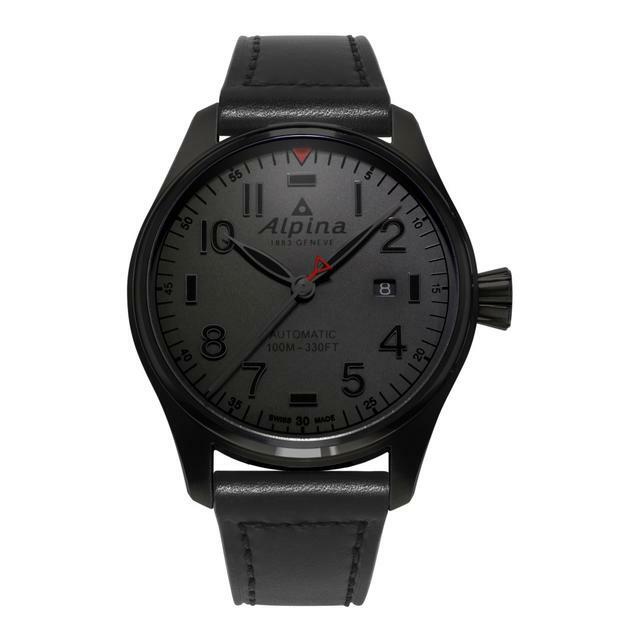 Consisting of six 44mm Alpina designs, including two Startimer Pilot Big Date Quartz chronographs, three Startimer Pilot Automatic watches and an Automatic Alpiner 4 watch, the new Alpina Shadow collection reinterprets five of Alpina best sellers with black matte cases and/or dials, adding a more cosmopolitan air to their generally sporty profiles. 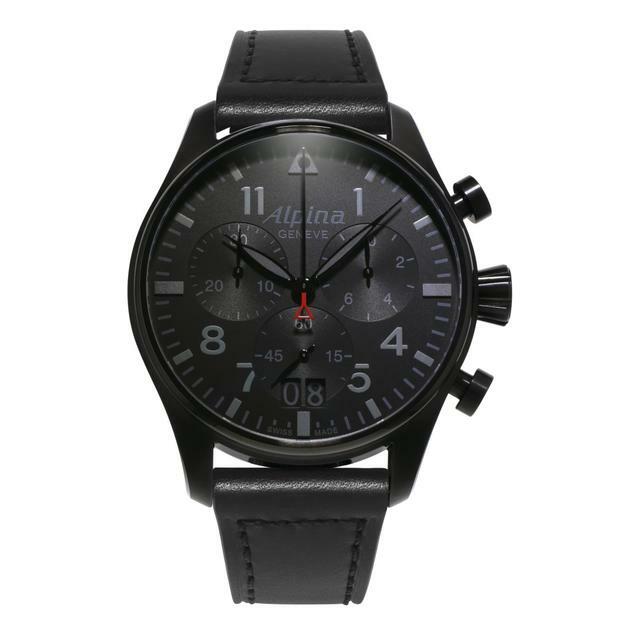 The Alpina Startimer Pilot Big Date Quartz chronograph, now darkened for the new Alpina Shadow Collection. The Alpina Startimer Pilot Big Date Quartz chronograph, with brown accents. Options among the four black-cased Pilot models include black or brown indexes and matching straps. 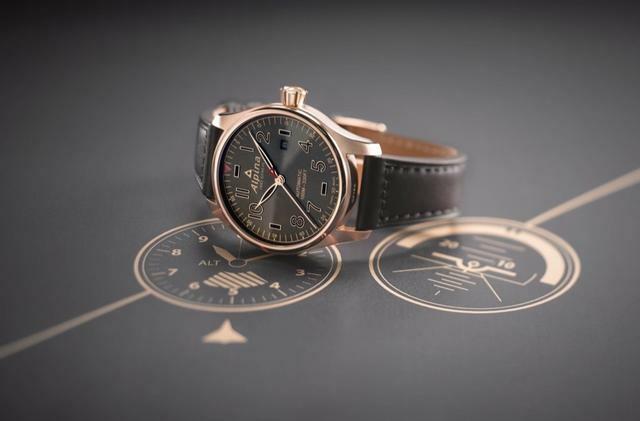 One Startimer Pilot Automatic model is cased in plated rose gold. All five Alpina Shadow pilot watches maintain all their aviation design roots, while the lone Alpiner 4 Automatic watch in the collection looks stealthier than ever with new black PVD-coated steel case, black sunray dial and Alpina red seconds hand with red triangle end. 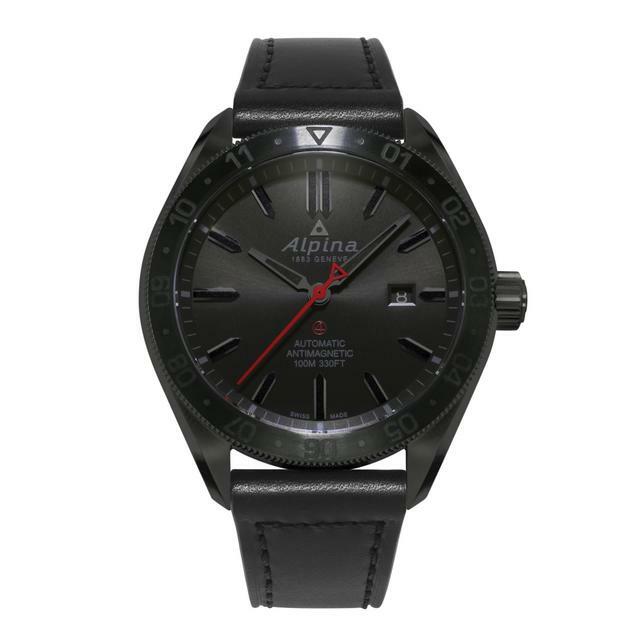 This watch also boasts the only rotating bezel (bi-directional) within the Shadow collection, and is powered by a Sellita-based Alpina caliber AL-525 automatic movement (also found in the Startimer Automatics). The piece also features the Alpina 1883 logo engraved on the caseback. The newly dark Alpina Startimer Pilot Automatic, with a blue dial option. 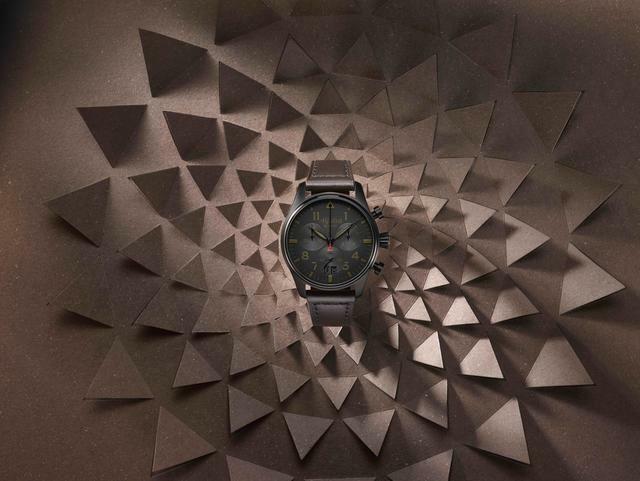 As noted, each Shadow timepiece comes with its own black or brown leather e-strap with a black fiberglass buckle. The strap helps the wearer track steps, calories, sleep, and other fitness-related measurements that can then be analyzed using Alpina’s existing smartwatch app, though with a more limited feature set than is available using Alpina’s Horological Smartwatches or analog-digital AlpinerX.